5 stars - "Epson WorkForce 30 Inkjet Printer with CISS" by Louis Grey, Written on 2012, 23:34/06/08 Apart from adorable price, it works better than I could imagine. 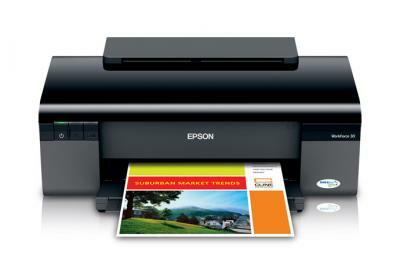 Buy Printer Epson WorkForce 30 with CISS and make 30 times more quality prints for the same money! The world leader in printing technology would like to represent another budget model of a photo printer, suitable for both office and home use. This is an inkjet printer Epson workforce 30. Though the developers position this device as a photo printer, the device perfectly manages with printing text documents, due to what it has become extremely popular in completely different types of consumers. Among them there are artists, students, photographers and designers. This machine prints using five colors, as an addition to a standard four-color set. 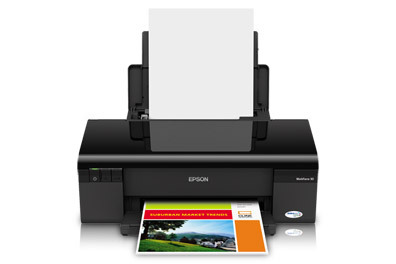 In contrast to the four-color Epson Stylus nx420. Another black paint was added to make the image more saturated and natural. However, in this case, the costs of printing are incommensurable with the cost when using the six-color technology. Epson 30 prints high-quality photos with a maximum resolution of 5760 x 1400 dpi and can use the paper of wide range density from usual office paper (90 g/m2) to thick photo paper with the density of 300 g/m2 as a carrier. This allows the machine to print plain text documents, high-quality photos, and even some promotional materials, such as business cards. As it was mentioned before, the described model is versatile. Except for paper, as a carrier, you can use self-adhesive paper for labels, stickers, envelopes, and special transparent film for inkjet printers. All this makes the printer simply indispensable device at a small printing company or advertising agency. Of course, with the active use of any printing device, the problem of reducing the cost of prints is extremely burning. To reduce the cost of printing one should use the so-called alternative supplies. 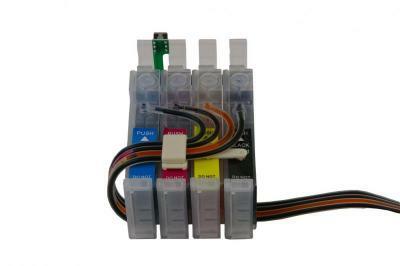 They include continuous ink supply system and refillable ink cartridges. 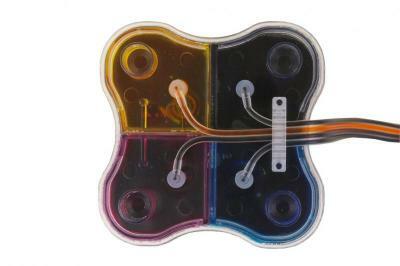 If you print, using such consumables, you can not only reduce the cost of each copy up to 30 times, but also get constantly high print quality from your device, regardless of the amount of ink in the cartridges. For people who value their time, we can offer excellent multifunctional device Epson XP-400. Apart from adorable price, it works better than I could imagine.